The Red Sox have chosen the ultimate "Dirt Dog" to throw out the first pitch before Friday night's American League Division Series opener at Fenway Park. 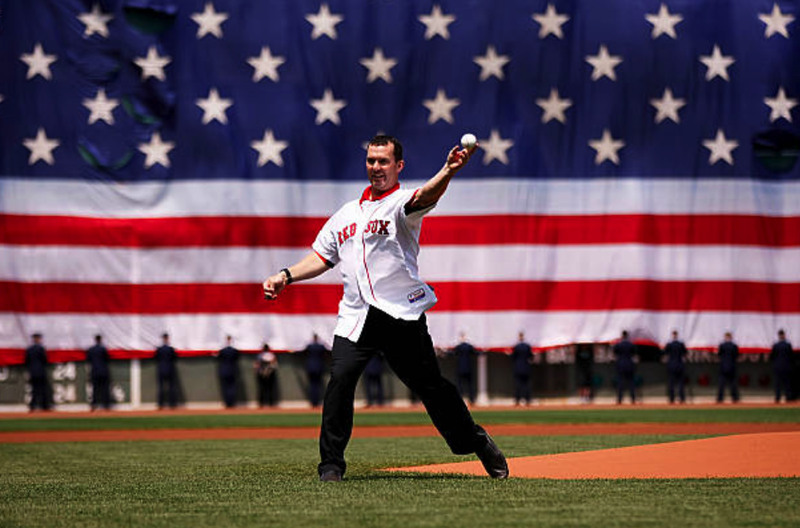 Trot Nixon, who spent ten seasons in Boston, is the perfect representation of the clutch post-season performance Boston will need to defeat either the Oakland A's or The Evil Ones in the upcoming five-game set. Red Sox fans fondly remember Trot's post-season heroics against both the the A's and Yankees. During his decade in Carmine Hose, Nixon hit .278 with 133 HRs. In the curse-ending 2004 World Series, Trot hit .357—with three doubles and three RBIs over the four-game sweep. The Red Sox brass got this ceremony just right—let's hope Trot imparts a championship spark in this current squad.